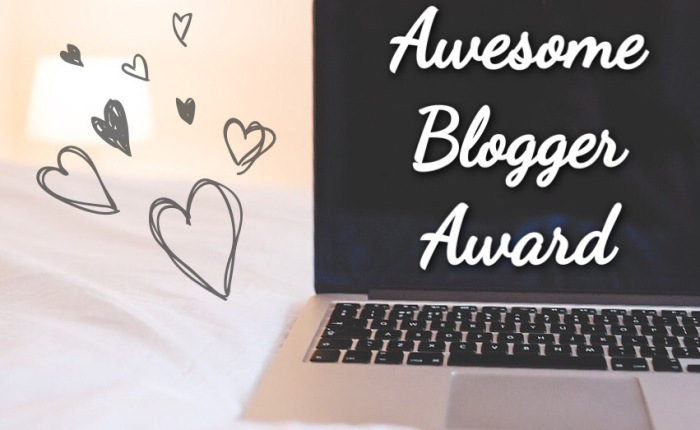 This is an award for the absolutely wonderful writers all across the blogging world. They have beautiful blogs, are kind and lovely, and always find a way to add happiness and laughter to the lives of their readers. That is what truly defines an awesome blogger. Thanks so much to Amber @ The Literary Phoenix for nominating me!! 1. What did you have for breakfast this morning? Granola! I’ve been eating the same homemade granola for YEARS. Somehow I never get tired of eating it. 2. What summer plans do you have (or have already done)? I spent most of my summer reading in preparation for Oxford, working, and spending time with friends and family. 3. If you could pick ANY career and get into it 100% no questions asked, what would you do? Realistically, I would be an English professor at a university; however, my secret dream has always been to be a professional dancer (even though I CANNOT dance). 4. On an average day – what’s your beauty routine? Wash my face, brush my hair, and put on some eyeliner if I have time. Done. 5. What color pen do you prefer to use? The more color the better! (Especially purple.) But I usually just end up using black pens because the ink is easier to read. 6. Do you or have you ever kept a personal journal or diary? Yes! I’ve kept a journal on and off ever since I was younger. This is a photo of my current journal. As you can tell, I’m a fan of stickers! SO MANY people! First and foremost, my parents. 8. Describe your perfect date. My perfect date would involve books, hiking, or visiting a place I’ve never been before. 9. What is your go-to order at a restaurant? Usually whatever I ordered the last time I was there. I tend to order the same things whenever I go to the same restaurants. Pizza is always by default, though. 10. If you had to wear either a cape or an eyepatch for a month but couldn’t tell anybody why, which would you choose? An eyepatch. I feel like people would just assume that I got hurt somehow and need to wear it for medical reasons…. the cape is a little more difficult to explain! What was your favorite game to play when you were a kid? What was the last restaurant you went to? What’s your favorite musical artist/band? What TV series did you most recently finish? What book would you recommend to EVERYONE? Do you prefer dark, milk, or white chocolate? What are your answers to these questions? What do you think of mine? Let me know in the comments section below! I liked colored pens, but they always seem to bleed or fade over time. So blue and black are better in the end, I suppose. And we should totally start a dance troupe of book bloggers who can’t dance. I’m in. Nice answers, and congrats on the award. Colored pens are wonderful, if I could have any job I’d probably go with English professor as well, and I would totally pick a cape over an eye patch; I already wear glasses so the patch would complicate life, and honestly I own a cape and probably would wear it for a month just because I felt like it.